The label may be new to you, as it was to me, but the wines of Tuscan producer Brancaia are well worth seeking out. There’s something exceptional here to meet budgets across a wide range. I came across the Brancaia family of wines when they appeared in a supporting role at a Chicago restaurant event where cheese got the top billing. An array of Brancaia offerings were served with parmesan freshly carved from a new 80-pound wheel by chef Danny Sweis at Tesori in the East Loop. But the savory cheese wasn’t the only nibble. Thin-crust pizza topped with prosciutto and artichoke also provided context for sipping assorted wines from Brancaia’s imaginative portfolio of blends. I ended up with three faves, and one solid winner on the all-important quality-price scale. First taste to last over the leisurely course of this parmesan party, Brancaia’s classic Super Tuscan blend called Ilatraia ($41) was the wine that kept drawing me back. Dark in hue and in fruit, the 2012 Ilatraia boasts a richly layered, medium-bodied mingling of 60 percent Cabernet Sauvignon, 30 percent Sangiovese and 10 percent Petit Verdot. There’s an alluring hint of smoke on the nose that continues on the palate, where blueberry, fig and plum join in the mix. This is wine to decant before serving – or, even better, give it a couple of years of cellar time to allow its tannic profile to mellow a bit. Pretty hard not to relish Ilatraia in the near term, though – maybe when the first hint of spring permits cooking on the grill. It is finely crafted wine at a comparatively modest price. 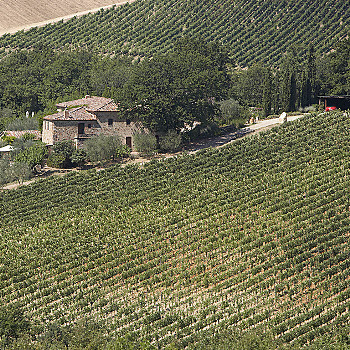 Unlike the dark-toned Ilatraia, the Tre delivers bright red-fruit flavors typical of the Sangiovese at its core. The Cabernet adds depth and complexity, and the Merlot smooths the edges. It’s a wine to enjoy in its youth, and a notable value. 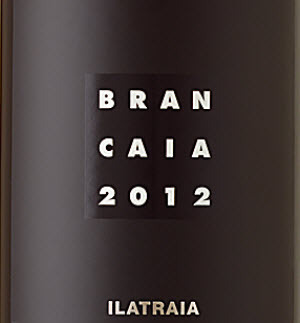 The third Brancaia that made a big impression is the producer’s heavyweight champ — Blu ($70). As in blue ribbon, one might surmise. It’s a grand wine fashioned in the novel proportions of 50 percent Sangiovese, 45 percent Merlot and 5 percent Cabernet Sauvignon. One would be hard pressed to come up with many examples of Cabernet Sauvignon functioning as a mere accent. But Blu’s near-equilibrium between Sangiovese and Merlot results in a splendorous wine with generous qualities of plum, tar, chocolate and blueberry. Here’s a huge wine to sample and savor – then cellar. The patrician character is obvious, but the greatest rewards will come a decade down the road.